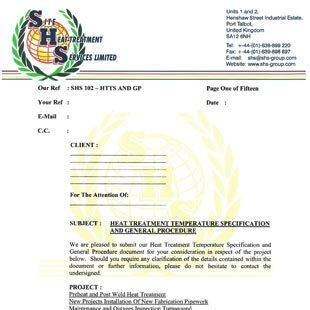 Site Heat – treatment Services Limited operate a Quality Management System which complies with the requirements of BS EN ISO 9001:2000 for the scope detailed in the certificate attached. Within the system, the experience and ability of each technician is rigorously checked and monitored. The condition and suitability of the equipment used is thoroughly checked and maintained. Accordingly this ensures the complete satisfaction of our clients in terms of safety and performance. 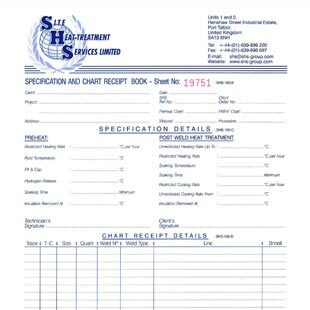 As part of the Quality System and in order to ensure that any contracts awarded to Site Heat – treatment Services are executed in strict accordance with the instructions of the Client, a formal system of documentation has been introduced. 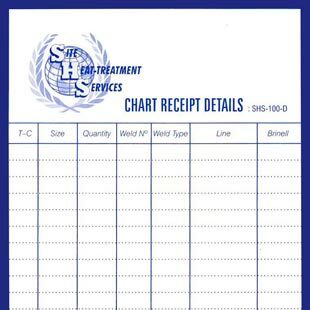 A record is maintained by the technicians of all hours worked on site and is normally countersigned by the client. 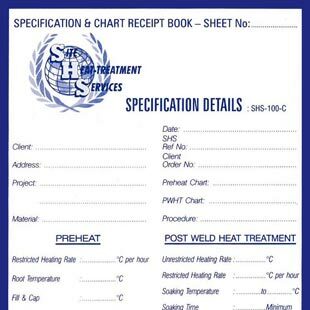 These labels correlate all pertinent information relating to a heat treatment, such as thermocouple trace and identification numbers, thermocouple positions, the specified temperature requirements, weld / component identification and layout drawing. 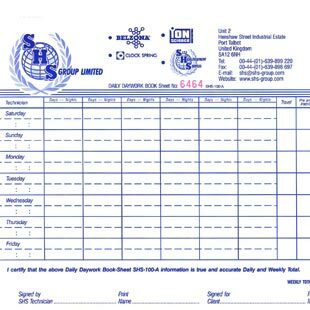 (b)	Confirmation of work completion on receipt of the time-temperature chart. Where applicable a procedure is submitted by Site Heat – treatment Services to the client prior to commencement of the work for approval by all parties concerned.